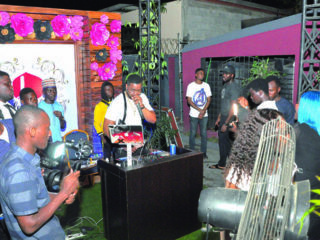 IT was a mix of cocktail, food, music and networking on Sunday, May 24, at Avenue suites, Victoria Island, Lagos, when Sinatra Select, staple from Jack Daniels was launched. The jazz band in the banquet hall kept the atmosphere warmed and alive as guests were serenaded to timeless classic hits of the popular American singer, actor, producer and director, Francis Albert ‘Frank’ Sinatra in whose honour the event was held. Guests were treated to samples of the Jack Daniel’s, deserts, and signature cocktails from the new Sinatra Select-infused canapés. 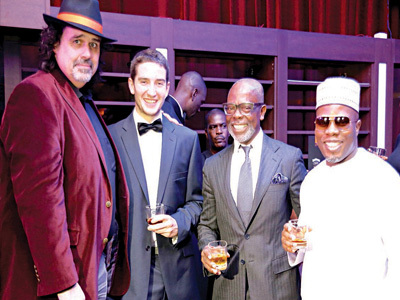 And just before the dinner party officially commenced, guests were walked down memory lane into the history of Jack Daniel’s Sinatra Select, as bottles were unveiled to the delight of many. Handcrafted by master distillers, each drop has been aged with grooved oak barrels, exposing the whiskey to unprecedented levels of toasted oak for special Sinatra smoothness which lovers of good whiskey have come to know and love. The launch was an ode to the lifetime friendship between the Jack Daniel’s brand and the music legend. The premium, high-end whiskey epitomizes the classy elegance of the legend himself. Born December 12, 1915, in Hoboken, New Jersey, to Italian immigrant parents, Sinatra began his music career in the swing era as a boy singer with Harry James and Tommy Dorsey. 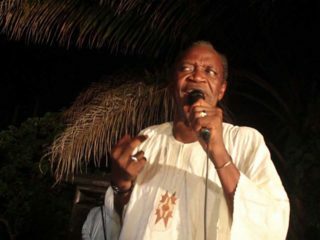 He found success as a solo artiste the early to mid-1940s after being signed by Colombia Records in 1943.